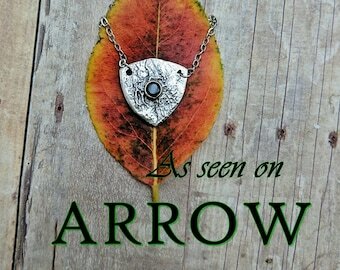 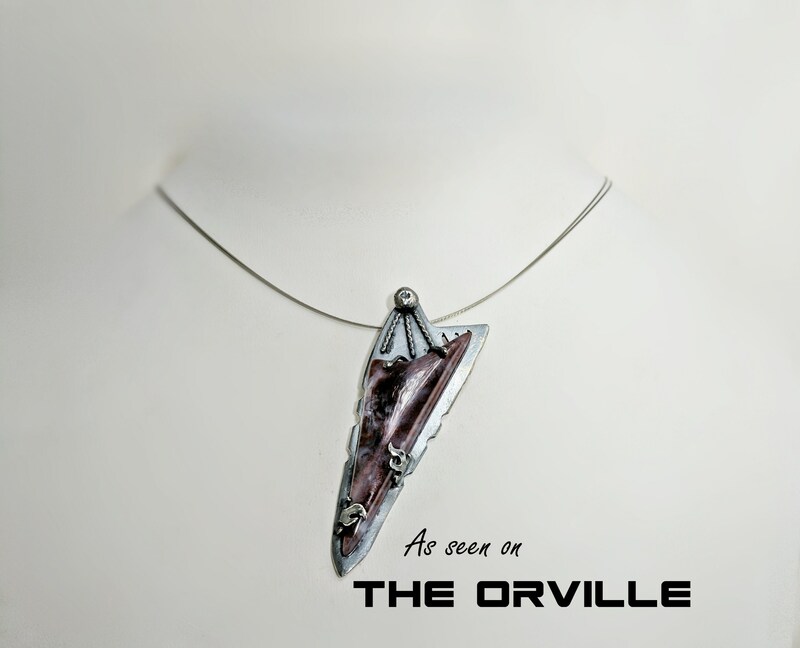 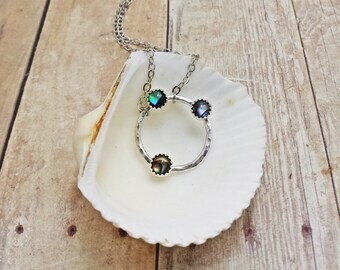 This necklace was gifted to the stylist of the hit Fox series The Orville. 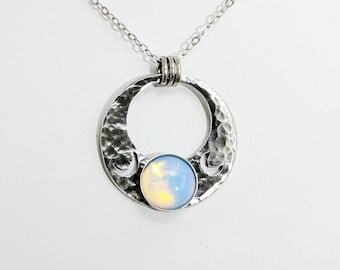 The necklace was sent in a collaborative gift bag from The Artisan Group. 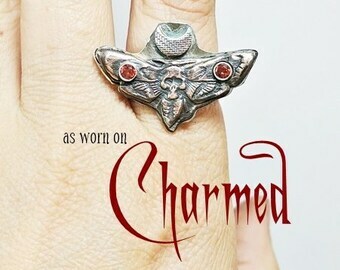 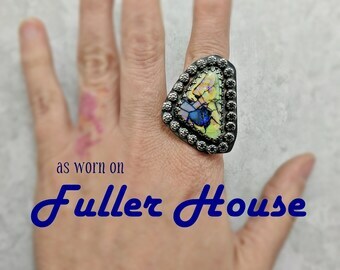 It was selected to be worn by Marina Sirtis in episode 12, Season 2, "Sanctuary", which aired on April 11, 2019. 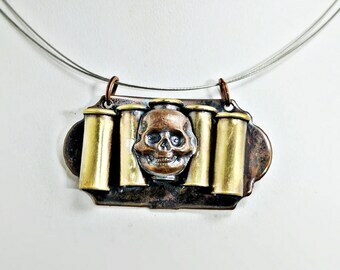 This lovely handmade necklace hangs from 16" plastic-coated steel wire with a barrel clasp. 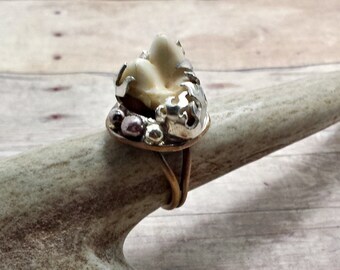 The handmade sterling silver pendant is 3/4" tall and about 1/2" across. 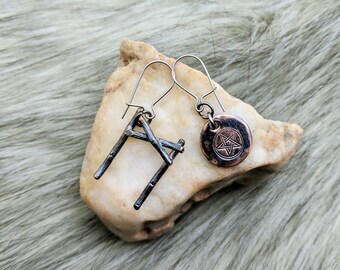 A beautiful Sierra jasper stone is held by copper flames, and accented with a wire "comet." 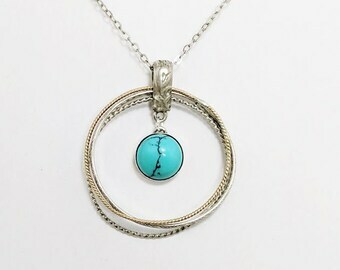 This necklace is made to order and will ship within 2-3 weeks of purchase.